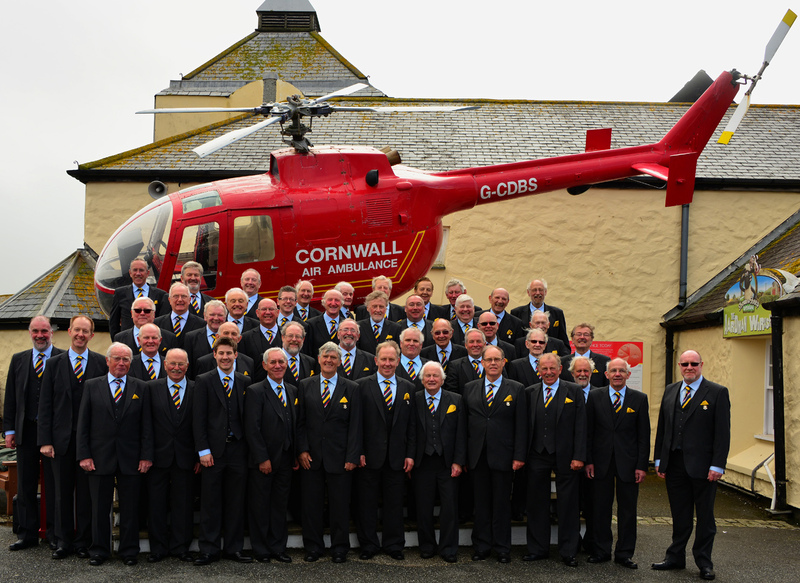 Colne Valley Male Voice Choir is one of the leading male voice choirs in the country and has entertained in many locations in its native Yorkshire and in many other places both home and abroad. 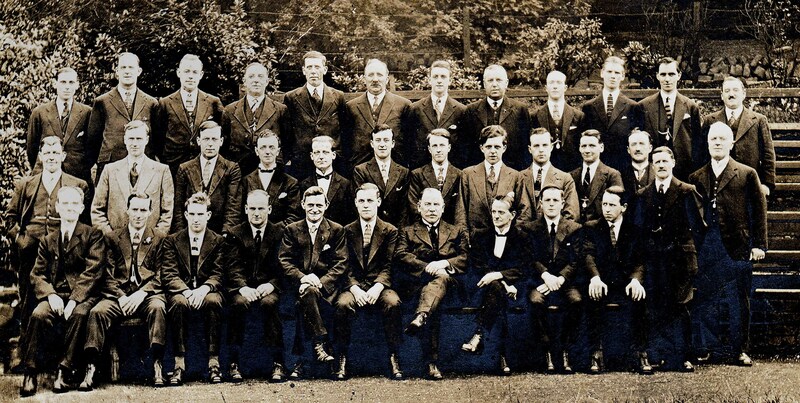 Now in its 93rd year, Colne Valley Male Voice Choir is well and truly stitched in to the musical life of its West Yorkshire Community. Remarkably, just two conductors have covered 71 of its glorious years. The great George Stead (seen as young member, third from left on the front row) led the men for 46 years. The current – equally great – Musical Director, Thom Meredith, is in his 26th year now and counting. From the beginning, Colne Valley entered contests of national standing to hone its skills, winning its first trophies in 1923. Since then, the Choir has won over 100 competitions across the country. Perhaps a highlight would be winning the International Eisteddfod at Llangollen for three consecutive years in the 1960’s and then twice more in 1998 and 1999. 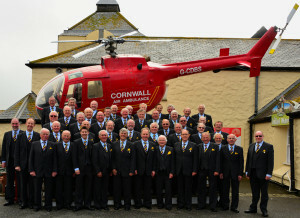 The Choir currently hold the accolade of ‘Best UK Choir’ from the Cornwall International Male Voice Choral Festival– a title it which it successfully defended in May 2015. The Choir continues to seek out challenging music alongside the popular and has developed an entertaining and constantly changing concert repertoire: an event almost every month and well over 50 different pieces performed every year, all sung without copies. They are always looking for new members to join – just ask a choir-member. Or leave your name and email address and they will send you their free email newsletter to keep you in touch with the Choir’s activities. Keith, almost incredibly, became Colne Valley Male Voice Choir’s accompanist in 1957. He first took up the piano as a pupil at Honley Grammar School, near Huddersfield. The list of his career accomplishments since then is simply too long to quote. 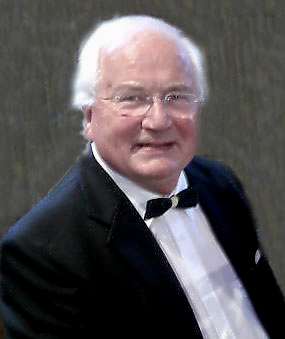 Although he considers himself to be primarily an accompanist, he is in constant demand as a soloist and is widely recognised for his performance of 20th Century English piano repertoire. Every music-lover should have a copy of his latest CD, “English Songs without Words” in their collection. Almost as difficult to believe, I’m sure for Thom if not for the rest of us, Thom became the Choir’ Musical Director as far back as 1979. Born in Adelaide, South Australia, in 1965, Thom was educated at Lawnswood School, Leeds and then Brasenose College, Oxford. 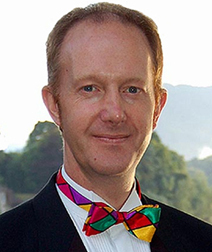 Thom is at the heart of the musical life of the area, not least because of his role as Principal of the Kirklees Music School. There’s always a demand, too, for his fine baritone solo singing voice.